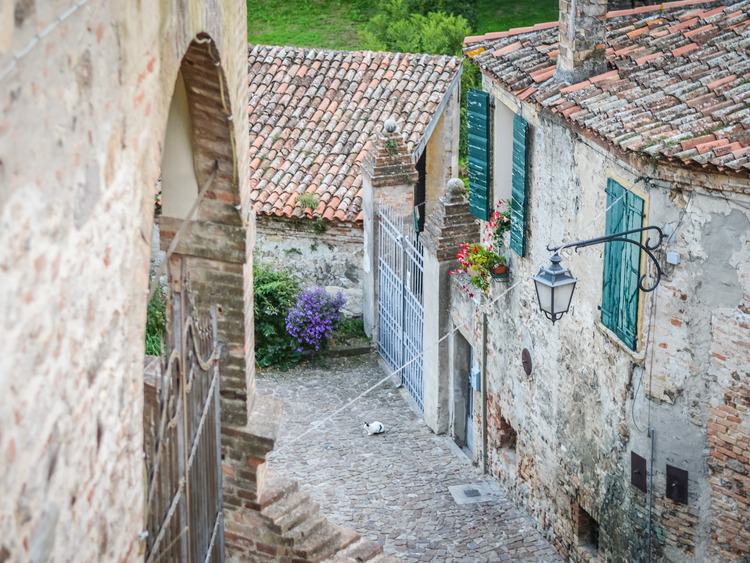 Let us discover an authentic Medieval gem - the town of Arquà Petrarca, where the atmosphere is charged with history and where we can retrace the life of the great poet Petrarch who spent his last years there. We leave the port of Venice by coach and embark on a panoramic tour through the Veneto countryside as far as the Parco Regionale dei Colli Euganei. Here, we find the Medieval town of Arquà Petrarca, destination of our excursion and famous because it was chosen by the great poet Petrarch as the place in which to spend the last years of his life. We reach this charming town, considered one of Italy’s most beautiful villages, and have some free time to explore Arquà Petrarca at our leisure. The town, which is made up of an upper and lower part, was even granted a prestigious Orange Flag by Touring Club Italiano for the excellent way in which it welcomes tourists. As we climb towards the citadel, we see the Chiesa di Santa Maria Assunta, dating back to the 11th century and modified many times over the centuries to achieve the current Romanesque aspect. In the churchyard, we find Petrarch’s grave - a monumental tomb made of prestigious red marble from Verona holding his remains. From here, we follow the town’s main road leading to the upper part of the town up a long slope flanked by historical buildings home to wine bars, osterias and local craft shops and the perfect occasion to buy some fragrant olive oil from the Colli Euganei or a bottle of DOC wine. We then reach Petrarch's home surrounded by a wall enclosing a landscaped garden. Donated to the poet by Francesco I, lord of the Carraresi, it is now a museum dedicated to Petrarch where the atmosphere is still filled with the immortal charm of one of the most eminent writers in history. After our free visit, we gather at the meeting point to make our way back to the ship. Your shoulders and knees must be covered in order to enter places of worship. Participants must gather at the meeting point in time to head back to the port. This excursion does not include a guide, but there will be a courier.